Mississippi soul blues with upbeat tempo from a soul blues legend. 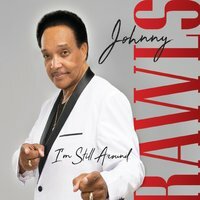 With his 2018 release, "I'm Still Around," Johnny Rawls returns to his roots in Mississippi soul music. Singing about his favorite subjects - falling in and out of love, making love, and enjoying and being thankful for life - Johnny shows why he's been nominated for Soul Blues Album and Soul Blues Male Artist more than a dozen times.